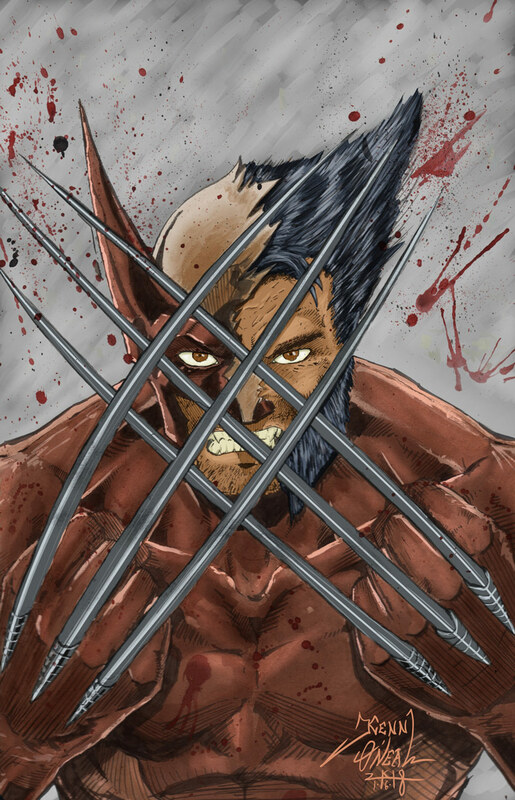 #Wolverine! This is my favorite suit of his. Decided to do some sort of berserker brawl theme. Did the browns with coffee (Mmm... Coffee ...) Then took it into @clipstudiopaint 5 to finish off the colors, all on my @wacom #cintiq #27QHD. 3-part video coming soon.